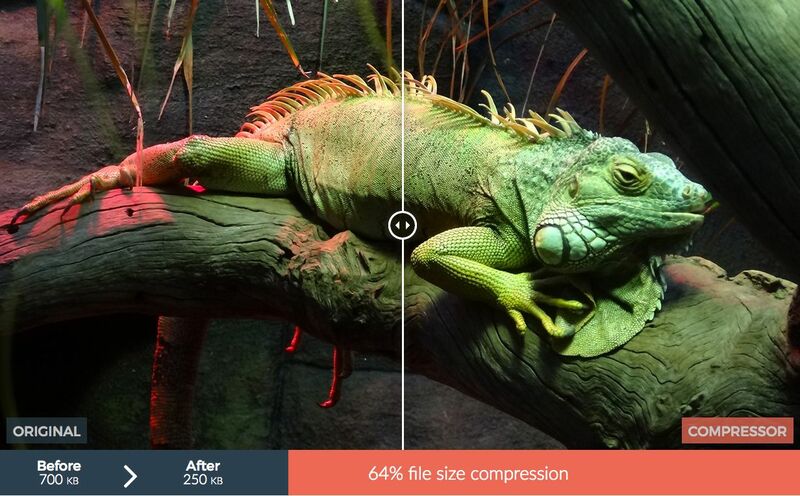 Compressor.io is a powerful online tool made by Stéphane Lyver for reducing drastically the size of your images and photos whilst maintaining a high quality with almost no difference before and after compression. Compressor.io is completely free and works with image files of up to 10Mb, once a file is reduced in size, you can store it to your Google Drive, your Dropbox or plain download it. Four file formats supported (*.jpg / *.png / *.gif / *.svg), two types of compression (lossless or lossy) and very high compression (up to 90% file size reduction).